Lake Batur Kintamani is located in Penelokan Utara Village, Kintamani and is included in the administrative area of ​​Bangli Regency. This place is also approximately 65 kilometers from the city of Denpasar. From Ngurah Rai Airport, this place can be reached in approximately 2 hours drive via Gianyar. Whereas from Singaraja, access to this place can be through Kubutambahan Village with a travel time of approximately 1.5 hours. Lake water comes mostly from rainwater filtered through the mountain, and it is the seepage that ultimately fills this exotic lake. Because of the uniqueness of its place, UNESCO designated this place as the Earth Park (Global Geopark Network). This lake is purely functioned as a tourist vehicle, not as an irrigation or to fulfill other needs. Because of its location at a height and surrounded by very lush trees, the atmosphere on the lake is very cold. The average temperature on this lake is 22 degrees to 26 degrees Celsius. The calm water of the lake and greenish-blue color makes tourists who stand on the edge of the lake feel calm and peaceful. No wonder so many tourists feel at home in this place and they choose to linger to enjoy the existing panoramic offerings. 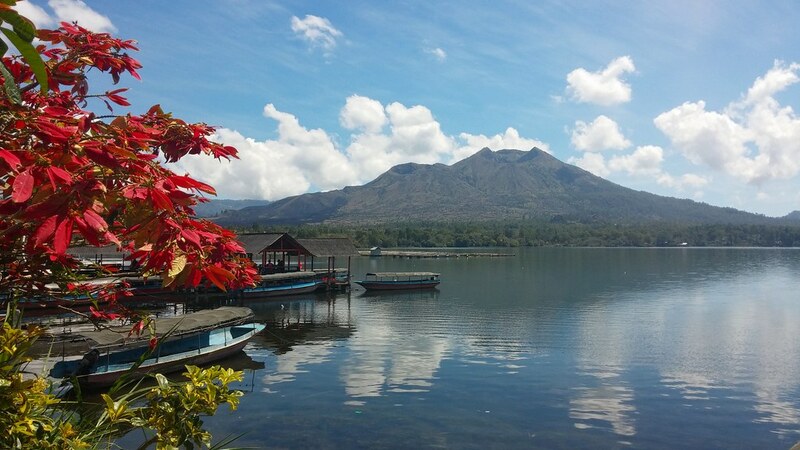 If you want to see the beauty of Lake Batur Kintamani as a whole, you can go to Penelokan village. This village is located on a plateau higher than Lake Batur Kintamani, so that the view of the very beautiful lake and Mount Batur which stands firm can be seen clearly with a comprehensive view. If viewed from a height, Lake Batur has a shape like a crescent moon. Here are the popular attractions that are closest to Lake Batur. Where you can choose to see nearby objects or activities that you might know and like. If you have interest to Lake Batur, you can freely add it as reference to your Bali Tours future plan.